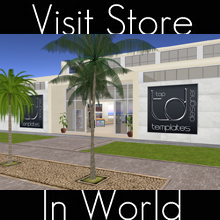 New sleek and stylish Ladies Cropped Leather Jackets – the latest full perm mesh release from TD Templates. Shadow Maps, UV Guides and Multi-Layered PSDs also included. 5 Standard Sizes.